If I'm being completely honest, I've never really been one to recycle a lot or use environmentally-friendly products. We didn't have much access to that type of stuff where I grew up, so it just wasn't a big priority for my family. However, I've always wanted to learn more about it and be better at it, especially when it comes to issues like keeping trash out of the oceans. I grew up at the beach, so that has become a very important issue for me. Anyone who knows me knows that I absolutely love sea turtles more than any other animal. 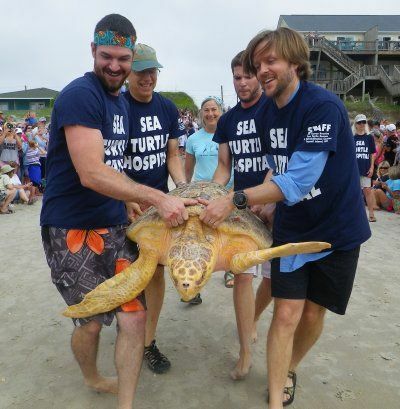 I love visiting the sea turtle hospital at the beach at home, and watching the releases once they've recovered from their injuries. Unfortunately, something as small and simple as a plastic straw can be detrimental to animals like sea turtles. There have been many cases of turtles found with straws and other plastic in their stomach because they mistake them for food. According to Strawfree.org, plastic straws are one of the top 10 types of garbage found in the ocean, and it is predicted that by the year 2050, there will be more plastic than fish in the ocean. It is estimated that over 500,000,000 plastic straws are used in the US alone EVERY SINGLE DAY, which is enough to circle the entire planet, twice. That is an insane amount of plastic. And straws aren't like other plastics; they're made of a different type that is rarely recyclable and never fully decomposes, so even hundreds of years later there are tiny plastic remains that can be consumed by microscopic organisms. 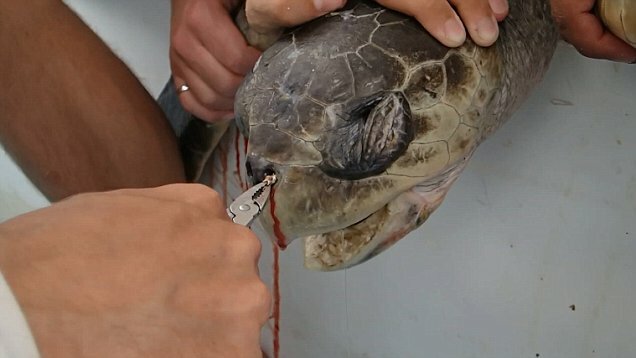 Not only do sea turtles tend to eat the straws, but there have been unfortunate cases of straws getting stuck in their nostrils as well, which as you can imagine would be extremely painful. Sorry for the mildly-graphic image, but it's the reality of how serious this issue is. Sea turtles aren't the only animals affected though; it's estimated that more than one million sea birds, 100,000 marine mammals and thousands of fish are killed by plastic pollution each year. It causes many serious problems like starvation, suffocation, drowning, entanglement, and infection. We can't all be environmental activists and eliminate large of amounts of unsustainable resources in our lives, but choosing to not use a plastic straw at restaurants is a small but significant step. You can even take a pledge if you want to make it official. And if seeing sea turtles in pain isn't enough to convince you, it's been suggested that using straws over many years could cause more wrinkles so if you can't do it to protect the oceans, then do it to save your face! !